Another group chose this for their reading selection and although I wasn’t going to reread it I got tempted and pulled Dubliners off the shelf and started in. Then I found it online in hyperlinked format and since I was very familiar with the story anyway, I used that. The links are really only brief annotations and the work is a classic, from a very different tine and place – I have absolutely no qualms about that on a second reading. Here’s my old review of the whole of Dubliners from last year – that was a reread, too, so it focused on the windows instead of the whole thing. This time was a better reading of just the last story, a novella, The Dead. And what did I find? I saw more clearly how impressive the work is – there is so much love and it shows in the details. Every word is meaningful – every word leads back to the title (imo). This is more than a “short story,” it has enough in it to be read as a whole novel which is why I give it its own entry. * Joyce wrote this while he and Nora were in “exile” in Rome. I think that’s reflected in the tone of nostalgia – homesickness almost. * The Morkan’s party takes place in a home very, very similar to that of Joyce’s old Dublin aunties. Feasting on “The Dead” at the Milwaukee JS Online. * Michael Furey was based on Michael Feeny an old lover of Nora who had died of typhoid and of whom she told Joyce later. 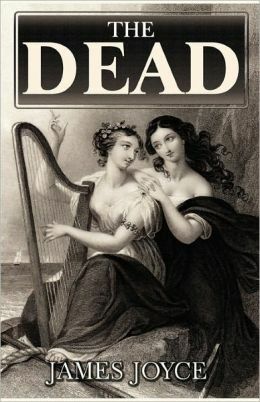 * There is so much music in “The Dead,” but it’s mostly old music – even to them. Joyce was an incredible tenor and this is more evidence of his homesickness. And the subjects of the tunes used are love and death. 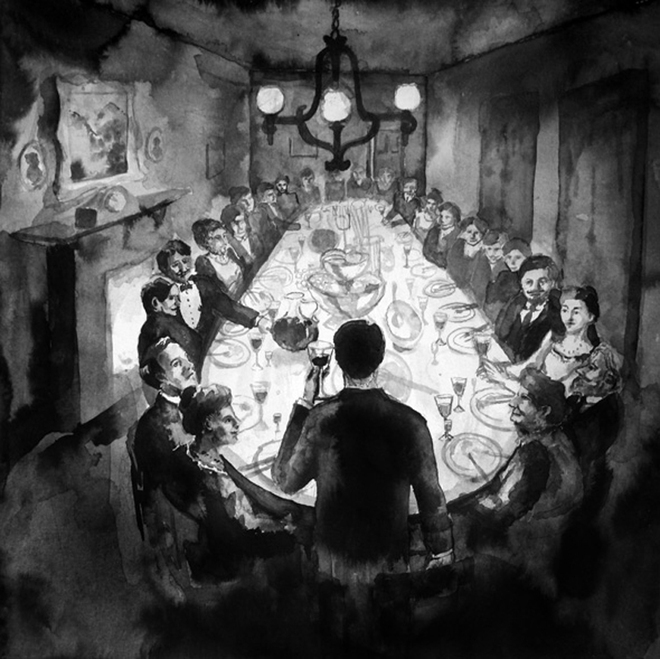 Status is important – Garbiel is successful and he worries that his speech is “above” his listeners so he changes it. Also, he and Gretta are staying at a rather posh hotel and they have the goloshes (European) which are important for keeping snow (nature? death?) out.